Created by young students of the Department of Media and Communication (DMC) at the Royal University of Phnom Penh (RUPP), the project intends to pique the interest of young Cambodians and continue dialogue on the kingdom’s turbulent past. “The idea is that people can visit historical sites and while standing in front of that building they can listen to eye witness accounts or watch historical footage about how the place looked back then. It’s all about making information accessible,” explained Stefanie Duckstein, the project’s advisor from the German Civil Peace Service/ GIZ. Chan Muyhong, MMC Project Manager, explained that the project’s main goals are to ignite interest among the young population about the Kingdom’s history; build a digital archive of survivors’ testimonies that can be passed on to next generation; inspire young Cambodians to start a dialogue with their friends and family members; and to physically mark evidence of Khmer Rouge history on a map. “So it’s there for people to remember, and perhaps to honor the survivors by remembering what happened back then,” she noted. The stories are produced as part of the students’ Conflict and Sensitive Reporting class where ethical principles and journalistic standards are taught and practiced. DMC’s editorial team ensures the quality of produced elements, factually verifying the content with the Documentation Center of Cambodia (DC-CAM), the renowned research and archive center of Khmer Rouge history. 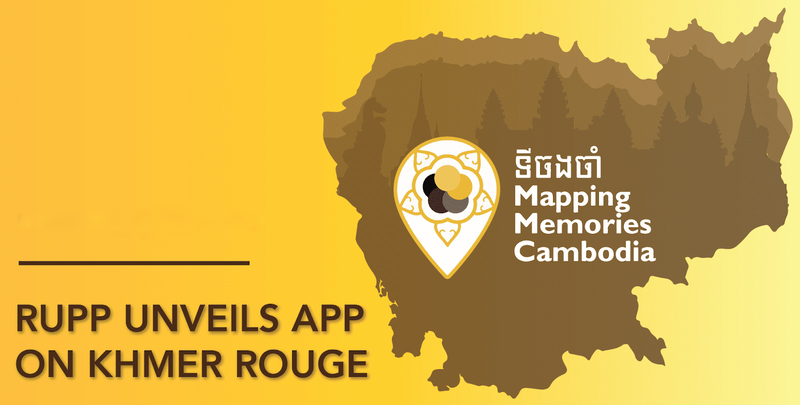 Geeks welcomes new ways to use technology to help important Cambodian historical events be better taught and understood, and we hope that the app proves popular.